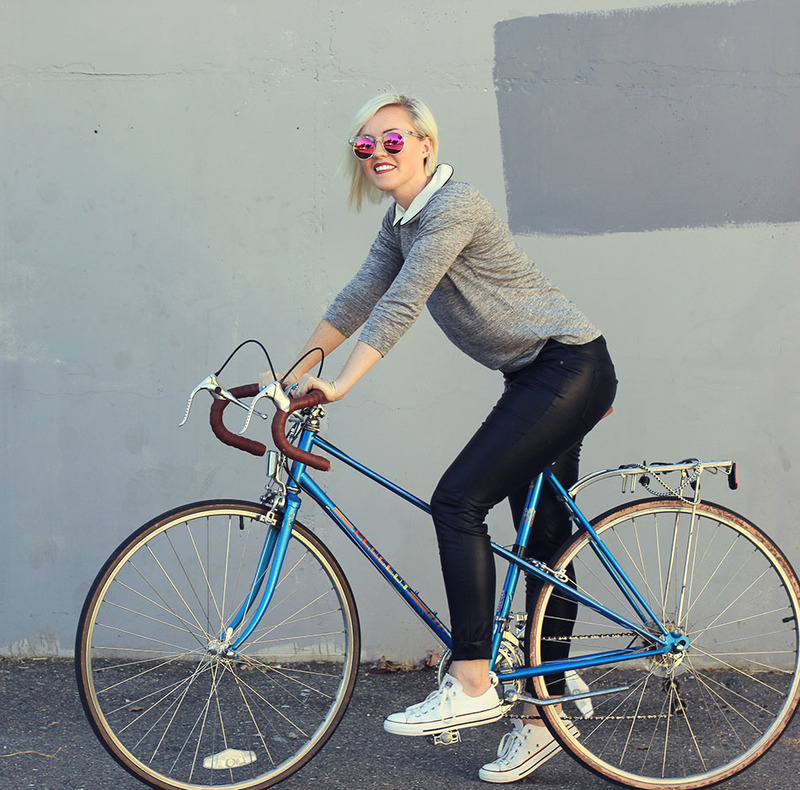 Today on The City Scout, I’m sharing 8 Easy Tips for Biking Fashionably in Fall. 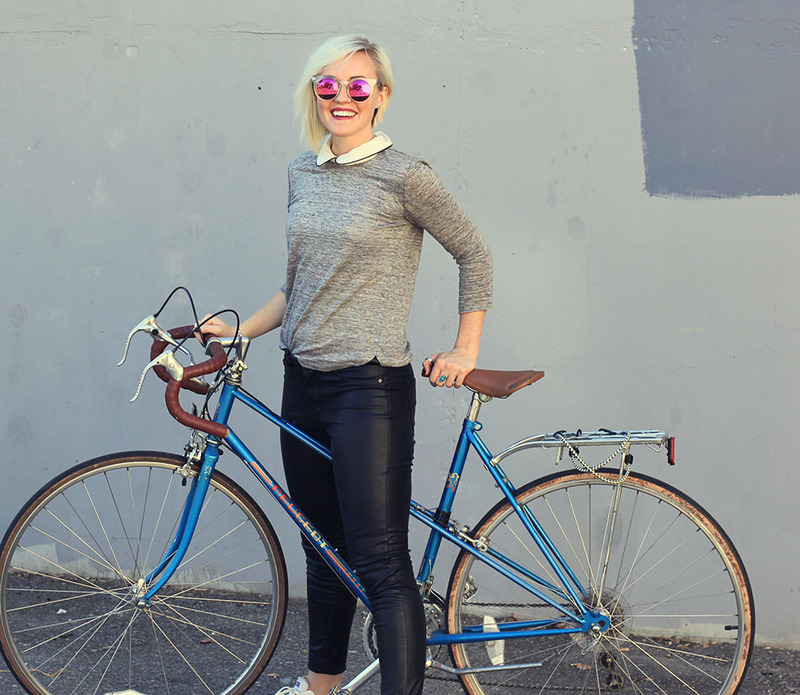 I’m showing a dressed up and dressed down bike friendly look. 1. Backpack. If you’re riding a bike with a basket then you automatically have a spot for your purse. If not, there are plenty of affordable small cute backpacks. Try out a leather or floral pattern. If you’re tricky you can try balancing your bag on one handle bar but for me it always bounces and hits my wheel, I wouldn’t recommend. 2. Layer up. I’m normally riding during the hours of 8:30am, 1:30pm and 5:30pm so I get a wide range of temperatures. Bring a cardigan or light scarf for the morning. Come lunch time you’ll be stripping that bad boy off! 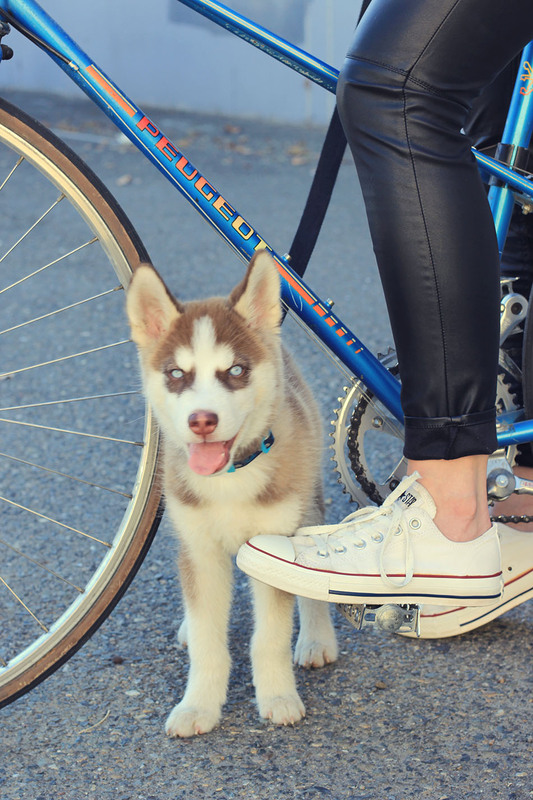 How cute my friend Kelsey’s little husky man, Pax? 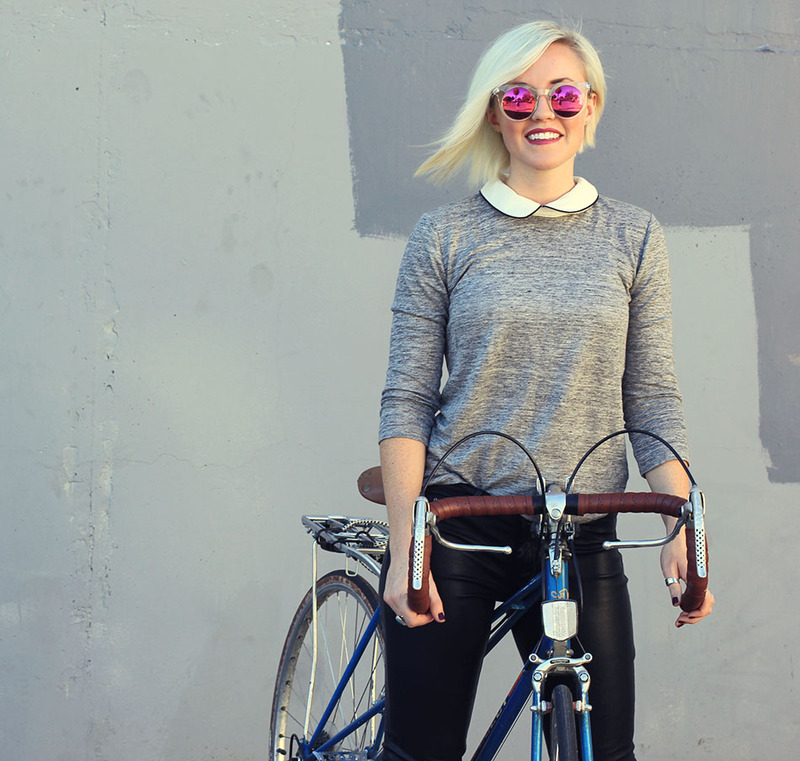 Head to The City Scout to read my other 6 tips and see my “dressed up” bike outfit. 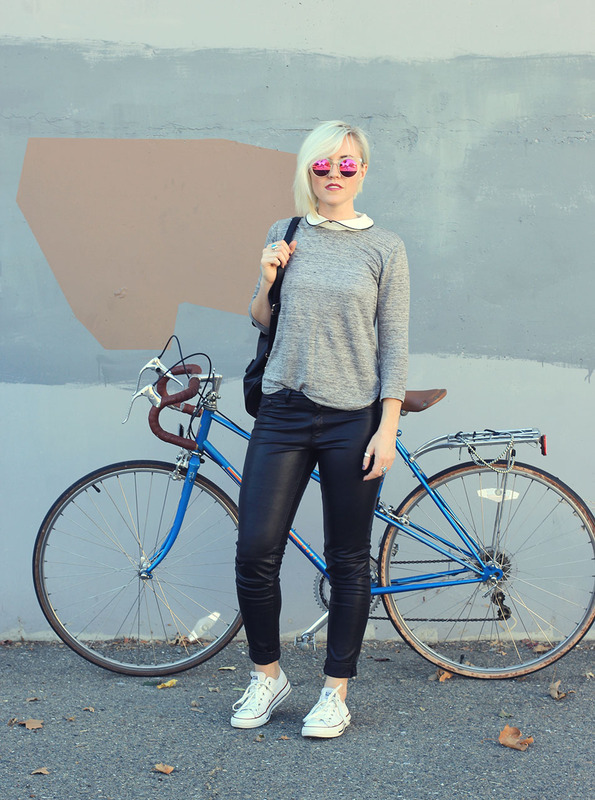 I love the leather pants with the ivory Chucks! Thanks for visiting my blog! I look forward to more of your posts.